With Windows 10 it is easier than ever to build apps that run on every Windows device. 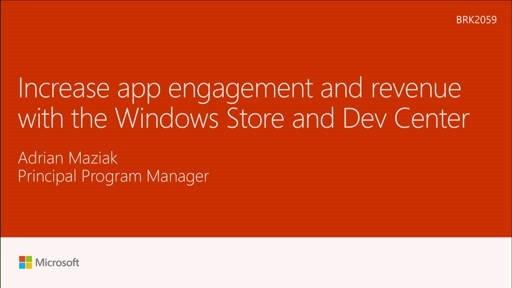 The new Windows Store creates the simple path to get your apps to all devices. 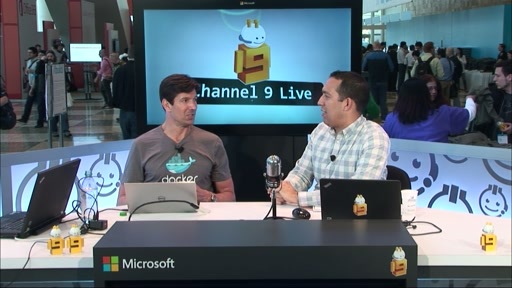 Come learn about the latest improvements to the store and Dev Center. where is the session video? You didn't answer the last question correctly. They actually asked if you need logo compliance to submit a Win32 desktop App to the store. I would also like to know the requirements for a desktop Win32 App submission. Win32 apps deployed through the store won't be able to implement features that require Administrator access? So basically any firewall, Anti Virus, or Management/System Utility feature? You will not be able to deploy Win32 apps that have context menu's? You will not be able to deploy Kernel level "drivers" on the Store even if they work with your application? You will not be able to deploy "Services" on the store, even if they work for your App? SO in the name of security, most software aimed at improving your security is going to be excluded from the store. I'm sure however that large Anti Virus software providers will somehow have a way into the store through some "special" treatment that won't be easy for small development studio's because of the "certification" process? It all seems vague at this point how exactly it is going to work but I don't think it sounds good yet. Windows Filtering Platform for example. Writing a firewall with Windows Filtering Platform, or a kernel level network filter for Parental Controls, or for AD-blocking purposes, would be impossible to deploy. Are these type of API's going to be allowed? Or remade to fit within the certification criteria?